Do We Need Teak Oil To Treat Teak Patio Furniture? 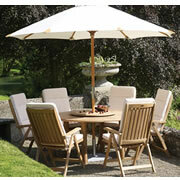 It is a good investment to buying teak patio furniture. For many years we should be able to enjoy our outdoor teak furniture and possibly even hand it down to our children or grandchildren. It does not require much maintenance. There are still a few things we should know. 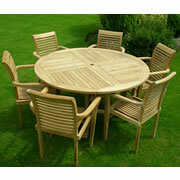 The most important question is whether need to use teak oil on our outdoor teak furniture or not. Treating our furniture with teak oil will not help extending the life of the furniture. 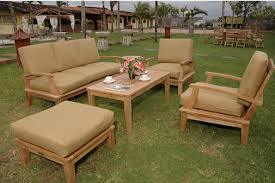 Teak outdoor furniture does not need any additional oil to last for decades. All it will do is making the teak wood dependent on continuous reapplications of oil to prevent the wood from drying out. The natural oil that exists below the surface of the wood is already sufficient to protect it from the elements but there are some things you can do to help preserve the appearance of our furniture.